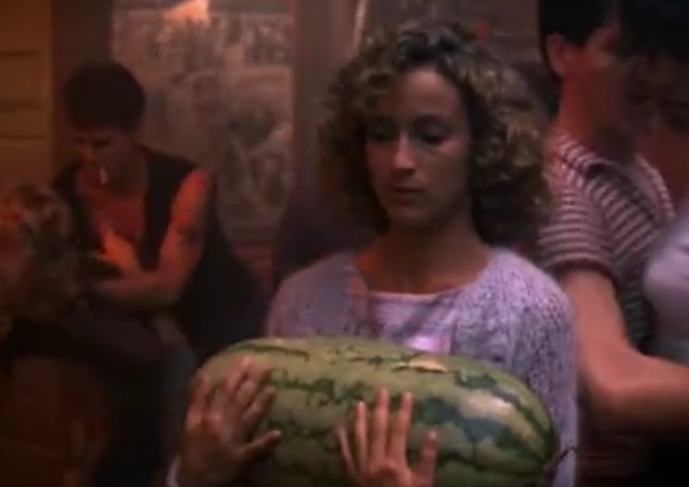 [Quiz] Which Dirty Dancing Baby are you? Warning! This is not Buzzfeed. If you wanna take this personality quiz you’re going to need a piece of paper and a pencil to note down your answers, like real men (and women!) do. If you’re a lazy bum, just go on Buzzfeed and find out if you’re a bad person (which you are, if you’re leaving this page). I recently found out that my boyfriend has never seen Dirty Dancing and a part of me died forever. The only thing I can do is honoring this undiscussable masterpiece and its protagonist with a quiz. A) I cannot. I’m a failure. B) Nothing’s impossible. Believe in your dreams. C) Sure! Haven’t you seen my latest Facebook Album? B) Smile. That’s how simple it is. A) These songs are all too cheerful. I’m going home. D) Size. Of everything. Nothing else matters. Life can be difficult to handle and you, among all people, seem to have tested that on your skin. It looks like your fears and insecurities pushed you in a corner and you’re waiting for a knight with a shiny armour to come and save you. But here’s the thing: nobody can drag you out of that corner except yourself. You better start fighting back. Your limits are frightening but also a challenge you are ready to take. Everyone except your mom thinks that you’re weird. Good thing is: after a certain age “weird” becomes “unconventional” and you may actually end up being kinda cool. Embracing your sexuality is one thing and using it in order to achieve your goals is another. Doing so makes you look like a fool and takes away the fun of using your brain. Unless you’re dumb, in which case I don’t see anything wrong with it. Mine too. Non c’è storia.